Tag Archive | "use energy"
Yesterday’s message looked at high voltage investments ideas. In a moment we’ll see an Ecuador income idea. First, here are some more electric thoughts about investing in energy. Investments in alternate energy can be profitable. For example in 2006 we introduced the idea of investing in the Vestas Wind Turbine company. The chart below from finance.yahoo.uk shows that this share has done really well… up four times even after the great 2008 correction. Jyske can buy the VESTAS WIND ADR (VWDRY) of this share for US investors by the way. 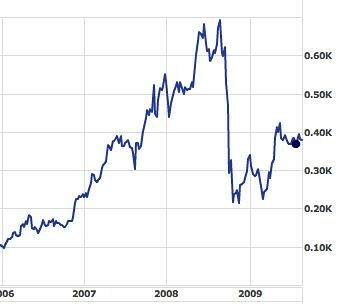 Here is a chart from finance.yahoo.com of the ADR since it was introduced. Jyske Bank currently has a buy recommendation with the current price of 378.50 Danish kroner and a target price of 550 Danish kroner. Jyske considers this a HIGH RISK share and says: Thanks to its market share of about 23% in 2007, Vestas Wind Systems is the world’s largest producer of wind turbines. 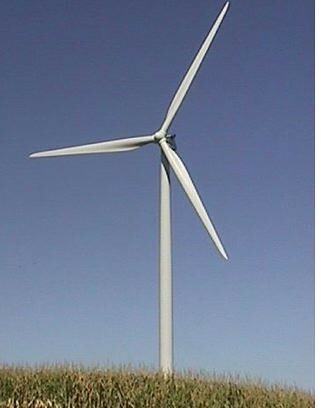 The company began its production of wind turbines in 1979, and was listed on the stock exchange in 1998. Today Vestas produces and sells wind turbines in sizes from 850 kW to 3.0 MW. The company’s vision is to turn wind into an energy source equal to oil and gas. They believe the shares are available at an attractive valuation. 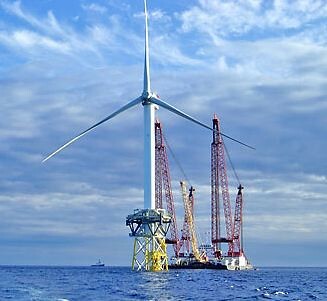 The company’s streamlining will continue to the benefit the earnings margins and despite the financial crisis, Vestas is facing high growth past 2009, and the management is experienced and strong. Yet we must understand that not all alternate energy investments will go well. See what I mean here. Of course one malfunction does not mean much… this was just a dramatization… pointing out that we have to invest in a future…that we cannot truly see. First, we can understand that we may not know the technology but we can know the trends. Part of the future is in the here and now and we can pick up these trends. Here are seven trends we can use to reflect upon when looking at new ideas for the future. Trend #1: The rate of change will increase. This is self evident. Change is speeding up… so new products will not remain “in” as long. This means bigger is not better. Ian Pierson, a futurist whom I know and respect, said that the value of a company is its idea… less its size and experience. Fast and small have an advantage now. Trend #2: The rate of private consumption will grow. From 1884 to 1995 private consumption just about doubled, but increased 25% in the past ten years. This means that the amount of money spent per person will continue to grow. This also means that the amount of discretionary income per person is growing. There will be more people producing more. Trend #3: There will be more automation. In the process of automation, mankind supplements muscles first, brains second and feelings third. Trend #4: Age, gender and wealth are becoming increasingly irrelevant. Trend #5: There will be a shift of attitude from our brain to heart. Trend #6: Families will turn more and more of their responsibilities to the market place. Trend #7: The growth in markets will be for stories, not products. When looking at new technology… run it past this list. This will not tell you if the technology is best… but may help you understand if the product fits the trends. Take electric cars as an example. We have been thinking about electricity here at the farm for some time as we have great hydro potential. Mark Owen has been helping us research this and sent us this note about electric cars. After completing the article I researched a new electric “car” named the Aptera Typ-2e. This is an extraordinary vehicle on many accounts. 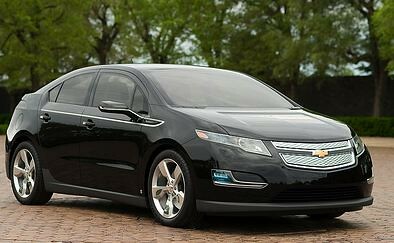 The reason I italicized the word car when describing this vehicle is that it will be considered a motorcycle by the US government. It has three wheels, two in front, one in back. The cockpit is teardrop shaped cocoon with airbags, two comfy-looking seats, and a very sophisticated dashboard. Many have said the interior of the cockpit makes it seem like you are in a small airplane. I am sure it will be faster, safer, and more convenient than my electric bike. If any reader has access to the Aptera, please invite me for a test drive, no matter where you are. Maybe in a few years, when Aptera gets their initial “bugs” worked out, and the price slides down a bit due to enhanced production, you will see me and my daughter grinning behind the wheel of one of these cars. This car differs a lot from the Fisker Karma we reviewed in yesterday’s post. Will people buy the stylish Karma or the more functional Aptera? Each of these technologies may help a bit. Some solar… some wind… hydro… better batteries and such plus most importantly energy use reduction. Perhaps micro production and savings will be the in thing instead just as the PC overwhelmed the mainframe computer. Gary, I was at the farm a couple of times this winter. I went to the top and felt the consistency and strength of the wind up there. I have done lots of research on the cost-effectiveness of installing a windmill system. These pre-made windmill systems are expensive. Even with consistent wind, it takes a long time for a windmill system to pay back its initial investment costs. I researched making our own windmill. It will be easy and cost eight cents on the dollar. I have already purchased a 33 foot aluminum sailboat mast. It is quite strong and will handle a medium-sized windmill. I would like to purchase the remaining components. The motor would cost about $200.00 (motor/generator, they are both the same thing). I would also like to purchase a fan blade kit. I think after the initial purchase, I will be able to manufacture our own fan blades. I will produce a template from the purchased blades, then manufacture future blade systems from the template. I think I can purchase the blade kit for another $100. Perhaps the way of we receive, store and use energy will evolve into many inexpensive, small devices each saving a bit… as PCs and then lap tops and now hand helped devices have altered the way we receive and transmit information. We can see a bit of this at Neuton Power. I have used a Neuton Electric lawn mower for five or six years and finally the battery died. 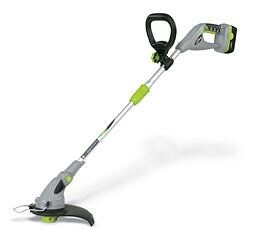 When I called to get a new one, I discovered they also have electric weed eaters, chain saws, hedge trimmers, blowers and power carts. The rep explained that when they introduced their weed eater they were overwhelmed with 1,500 orders. I have mine on back order. It will take months for them to fill demand… so electric replacing gas is in… perhaps for now in small ways… but watch for this trend to grow. Here is another nifty idea that saves energy and could create a business opportunity in Ecuador… the solar or sun oven. Sun ovens cook with the sun… no electricity… fossil fuel, wood, charcoal or any pollution are required. This may offer a business opportunity in Ecuador or anywhere sunny. 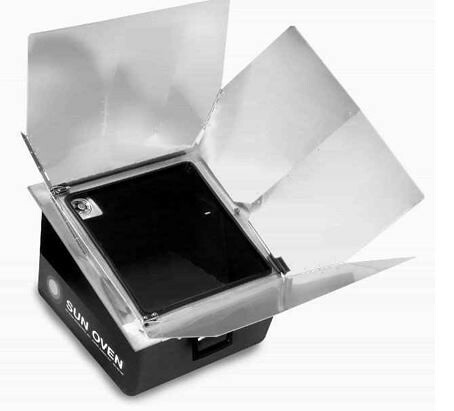 Learn more about solar ovens here. Investing in alternate energy is wise for the future.